On Monday March 25, 2019, His Holiness Patriarch Mor Ignatius Aphrem II officially opened the studios of the Patriarchal TV Channel Suboro TV. 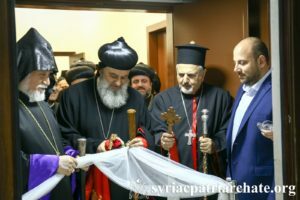 The opening was attended by His Holiness Catholicos Aram I, Armenian Orthodox Catholicos of the Great House of Cilicia, and His Beatitude Syriac Catholic Patriarch of Antioch Mor Ignatius Youssef III Younan, as well as Archbishops and officials and workers in the field of the media. 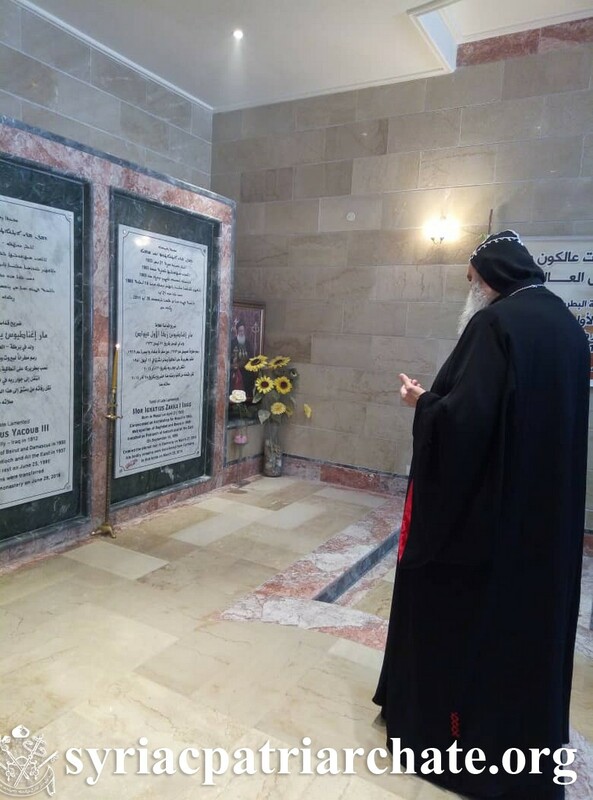 On Monday March 25, 2019, His Holiness Patriarch Mor Ignatius Aphrem II celebrated the Holy Qurobo at St. Severus Church at the Patriarchal Residence in Atchaneh – Lebanon, on the occasion of the Feast of the Annunciation and the opening of Suboro TV. His Holiness was assisted by their Eminences: Mor Selwanos Boutros Al-Nehmeh, Archbishop of Homs, Hama, Tartous and Environs, and Mor Chrysostomos Mikhael Shemoun, Patriarchal Vicar and Director of the Patriarchal Benevolent Institutions in Atchaneh – Bikfaya, Lebanon. 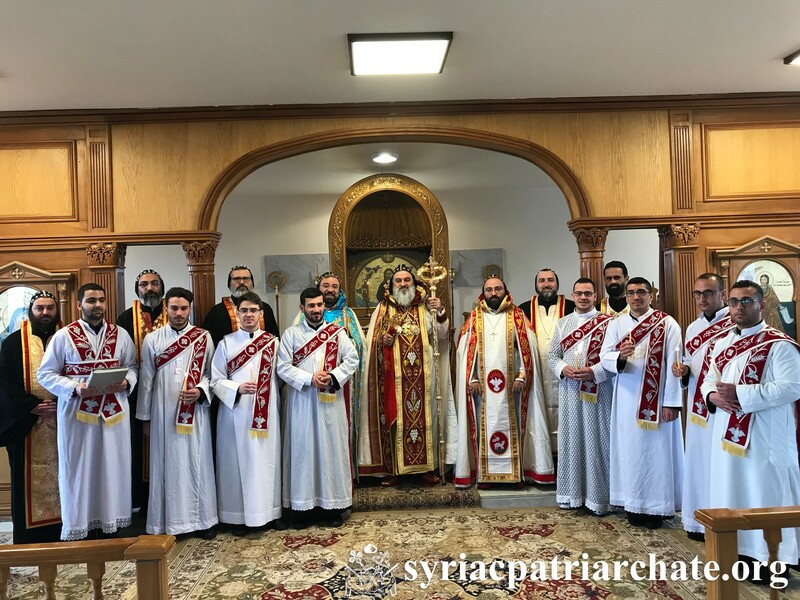 The Holy Qurobo was attended by their Eminences: Mor Theophilos George Saliba, Archbishop of Mount Lebanon and Tripoli, Mor Justinos Boulos Safar, Patriarchal Vicar in Zahleh and Beqaa, and Mor Anthimos Jack Yacoub, Patriarchal Vicar for Youth Affairs and Religious Education. The Holy Qurobo was also attended by His Holiness Catholicos Aram I, Armenian Orthodox Catholicos of the Great House of Cilicia, and His Excellency Bishop John Alwan, General Patriarchal Vicar, representing His Beatitude Maronite Patriarch Cardinal Mar Beshara Boutros Al-Raii, as well as officials and faithful. In his sermon, His Holiness spoke about the Annunciation and pointed out that the Virgin Mary accepted the annunciation of the angel despite her knowledge that many persecutions and false accusations await her. His Holiness added that we learn from the Virgin Mary to say: thy will be done. He continued saying that no one accepts to appear sinful in front of others, knowing that they will stone him to death. He added that we learn from the Virgin Mary that we should trust the Lord and accept the message of the Heavens, not caring for what can come to us from the world. He also pointed out that we should be good disciples of the good master, spreading His teachings in words and deeds. 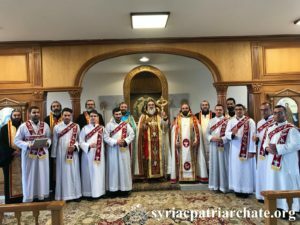 At the end of his sermon, His Holiness congratulated the Universal Syriac Orthodox Church on the opening of Suboro TV, hoping that it will carry the good news to every home. 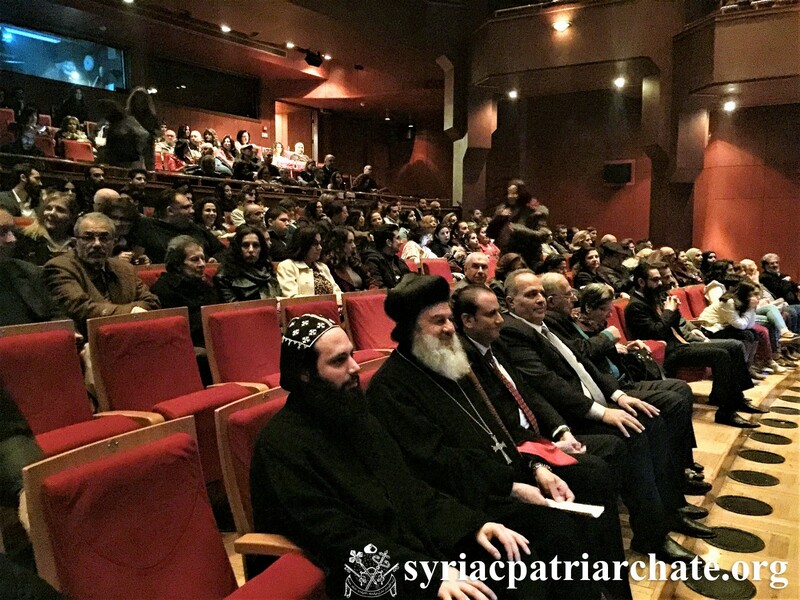 On March 13, 2019, His Holiness presided over the official Holy Qurobo celebrated by His Eminence Mor Anthimos Jack Yakoub, Patriarchal Vicar for Youth Affairs and Religious Education, at St. Georges Cathedral in Bab Touma – Damascus. The Holy Qurobo was attended by their Eminences: Mor Timotheos Matta Al-Khoury, Patriarchal Vicar in the Patriarchal Archdiocese of Damascus, Mor Dionysius Jean Kawak, Patriarchal Vicar for the Archdiocese of the Eastern United States of America, and Mor Maurice Amsih, Archbishop of Al-Jazeerah and Euphrates. 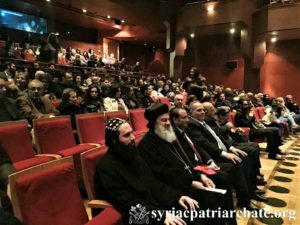 His Eminence Cardinal Mario Zenari, Apostolic Nuncio in Damascus, along with their Eminences and Excellencies Archbishops representatives of the various Churches in Damascus attended the Holy Qurobo. In his sermon, His Eminence Mor Anthimos spoke about the verse “whatever He says to you, do it” (Jn. 2:5). He also prayed the Lord to strengthen him to minister to the youth of the Church with faithfulness and dedication. At the end of his sermon, he thanked His Holiness for his overwhelming love. 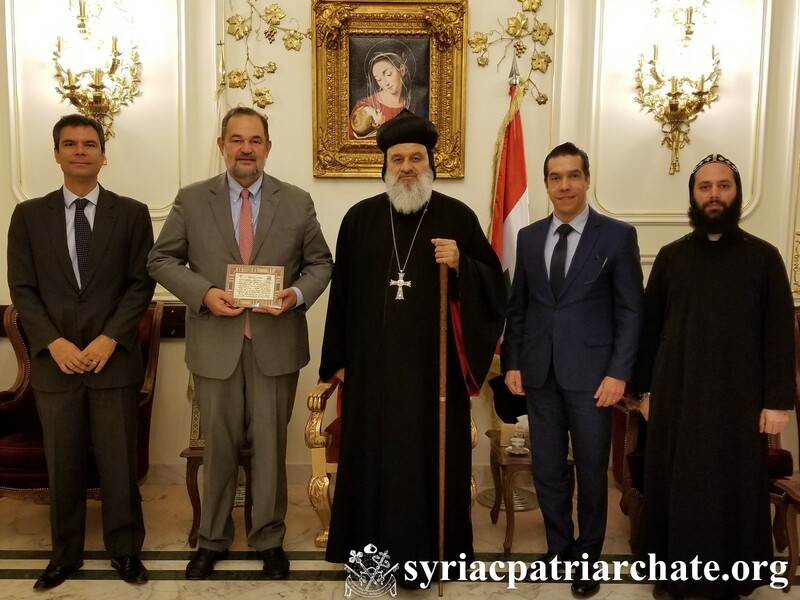 During the Qurobo, His Eminence Mor Timotheos Matta Al-Khoury congratulated the New Archbishop on behalf of the Patriarchal Archdiocese of Damascus wishing him fruitful service for the glory of God. After the Qurobo, all who were present offered congratulations to His Eminence Mor Anthimos Jack Yakoub. 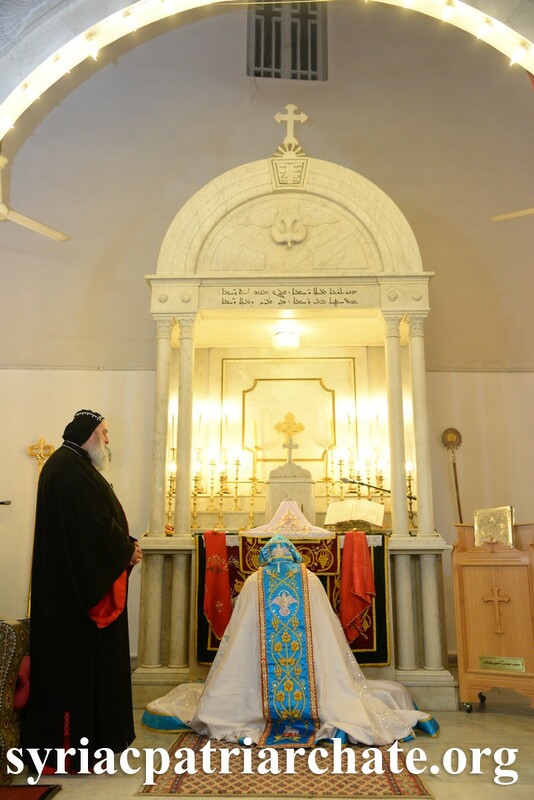 On March 10, 2019, His Holiness Patriarch Mor Ignatius Aphrem II presided over the Holy Qurobo celebrated by the New Archbishop Mor Anthimos Jack Yakoub, Patriarchal Vicar for Youth Affairs and Religious Education, at St. Jacob Baradeus Church in Atchaneh – Lebanon, for the Sunday of Cana, which is the first Sunday of the Great Lent. 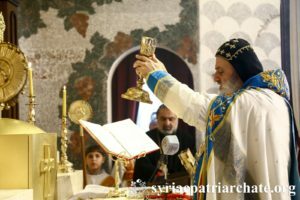 Their Eminences: Mor Athanasius Elia Bahi, Patriarchal Vicar in Canada, Mor Gregorius Malke Urek, Patriarchal Vicar in Adiyaman and its Environs, Mor Chrysostomos Mikhael Chamoun, Patriarchal Vicar and Director of the Patriarchal Benevolent Institutions in Atchaneh, Mor Nicodemus Daoud Sharaf, Archbishop of Mosul, Kirkuk, Kurdistan and Environs, Mor Maurice Amsih, Archbishop of Al-Jazeerah and Euphrates, and Mor Georges Kourieh, Patriarchal Vicar of Belgium, France and Luxemburg,attended the Holy Qurobo. During the Qurobo, the Patriarchal Encyclical for the Great Lent was read, according to the tradition of the Syriac Orthodox Church of Antioch.